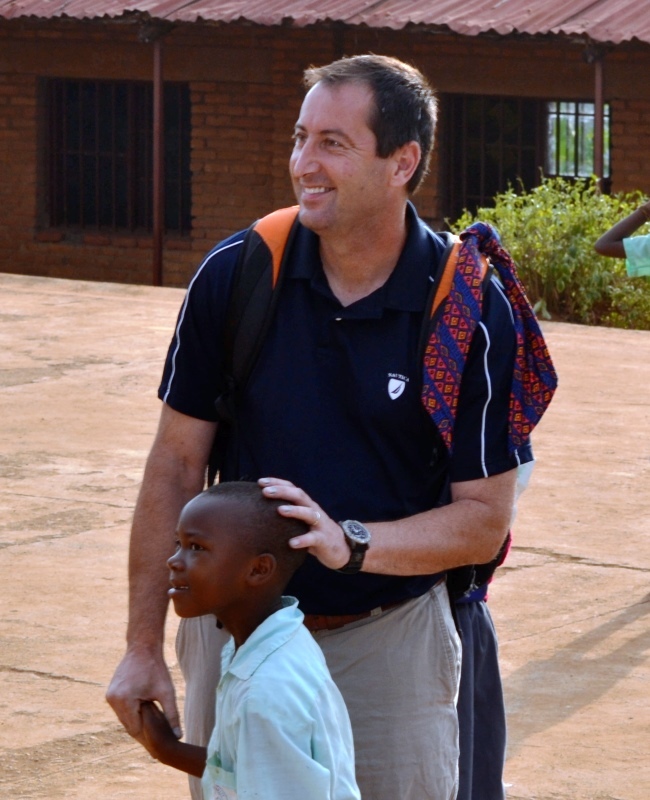 After a survivor of the 1994 Rwandan genocide spoke at Stanwich during the 2006-07 school year, science teacher Shaun Fletcher was so moved by her story that he applied for a Humanitarian Grant established by the school’s Board of Trustees to travel to Rwanda. In the summer of 2008, Shaun embarked on a quest — he was searching for a project that Stanwich could support on a long-term basis. And he found what he was looking for in Cyabatanzi, a rural Rwandan community that needed a school. Since 2009 , Shaun has led annual student volunteer service trips to Rwanda, where our students gain insight into the challenges confronting a developing country in a way no other service trip offers. By returning year after year to Cyabatanzi with their Stanwich teachers, our students truly experience both the promise and the struggles facing the community. In addition, the Stanwich community at large has been an integral part of the journey by raising funds through school traditions. 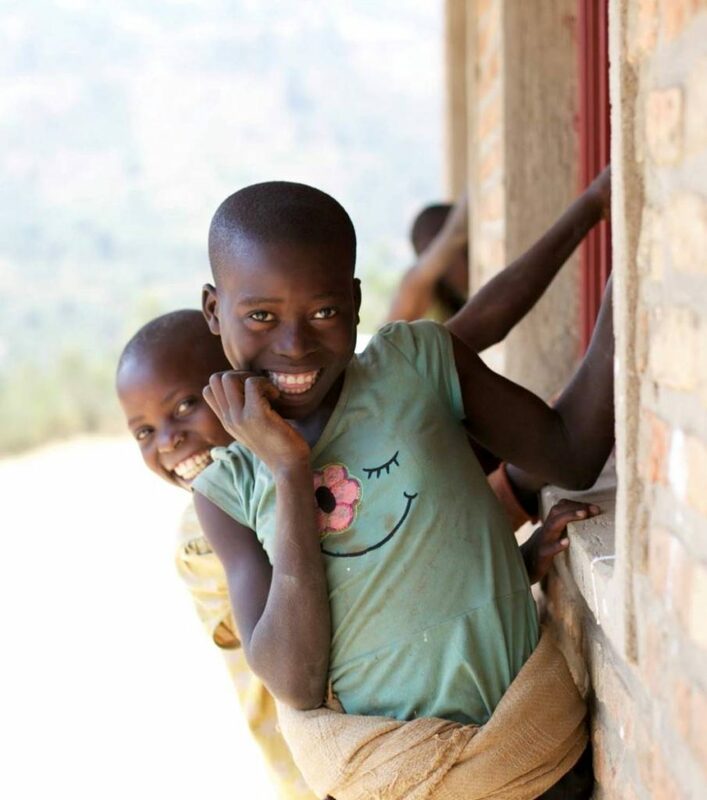 These funds have been used to build The Blessing School and construct a water well, three kindergarten classrooms, a kindergarten playground, as well as the foundation for a Grades 1 – 3 classroom in Cyabatanzi. In December of 2015, Project Blessing was officially established as an independent 501(c)(3) nonprofit organization. Looking toward the future, plans are for continuing to enrich the annual student trip to Rwanda and further build-out the school to meet the needs of the children and adults in the village. Teaching students that by transforming children’s lives and communities now, we change the course of their future and ours. Shaun was born and raised in England and graduated from People’s College, with a degree in Engineering. He began his career designing and building gantry robots for the automotive industry. Transferred to the United States in 1991, Shaun began a gradual transition from engineering to education. Through his work at the Society for Mechanical Engineers and the Apollo Group, where he worked on college and vocational school acquisitions, he decided to pursue teaching and earned a master’s degree in education from Cambridge College in Massachusetts. Over the past twenty years, Shaun Fletcher has had an amazing journey learning and growing with every opportunity that has been given to him in the field of education. Shaun joined the Stanwich School family in April 2006 as the eighth grade science teacher. During his time at Stanwich he has developed a robotics program, implemented an engineering elective, and designed and now runs the ninth grade leadership/values initiative that includes the “classroom without walls” journey to Costa Rica. Most significantly, he founded Project Blessing in 2008. This long-term initiative has helped build a school in rural Rwanda and given some 100 Stanwich School students and alumni the opportunity to travel to the country. Shaun’s educational philosophy stems from his own passion for life-long learning that values learning for its own sake. This belief is at the heart of his own educational practice and drives his own desire for continued professional growth and for the growth of his students – both here and in Rwanda. Project Blessing has adopted the following specific policies and practices for its staff, board members and for all individuals who interact with Project Blessing and its representatives or beneficiaries. The goal of these policies and practices is to establish a climate of professionalism and expectations of behavior within the Project Blessing organization. For the purposes of this document, the term “staff” shall include all board members, chaperones, volunteers and student volunteers of Project Blessing. This code of ethics serves to guide its board members and volunteers in their conduct when acting on behalf of Project Blessing. These principles reflect the types of behavior Project Blessing expects towards constituents, student volunteers, supporters, volunteers, peers and the public. Engage in truthful fundraising activities. Project Blessing’s Board of Directors is responsible for communicating this Code of Ethics to all support volunteers and partner organizations. Staff regularly take pictures and video of the children and communities who benefit from our projects. These images are used for clear purposes with an obvious benefit for Project Blessing’s work. If a child or parent or guardian objects to, or appears uncomfortable with being included in a picture or film, their wishes shall be respected and Project Blessing associates shall not include them in pictures or films. Project Blessing believes all children have the right to be protected from abuse, neglect, exploitation and violence, as set out in the UN Convention on the Rights of the Child. It is therefore made clear to all staff or representatives of Project Blessing that Project Blessing does not tolerate child abuse in any form and that all suspicions and allegations of abuse will be taken seriously and responded to swiftly and appropriately. Project Blessing recognizes that we work in communities whose cultural attitudes and accepted behaviors towards children can be different from our own. In addition, Project Blessing does not manage or control schools; we facilitate communities to run their own schools. Therefore, our approach to child protection must reflect the fact that we cannot control directly what takes place in those schools. Every effort will be made, however, to create an environment that respects the rights of children and rejects abusive behavior. Suspected incidents of child abuse observed in Africa should be reported to the Executive Director and Board Chair. Project Blessing will report this information to appropriate local officials. Project Blessing will sever all relations with any individual found to have committed child abuse and will comply with the local jurisdiction in any related criminal prosecution. Suspected incidents of child abuse observed in the United States should be reported to the Executive Director and Board Chair and will be reported to law enforcement agencies and in accordance with applicable law. Project Blessing will sever all relations with any individual found to have committed child abuse and will comply with the local jurisdiction in any related criminal prosecution. No action will be taken against any volunteers if he/she raises a legitimate concern about suspected abuse and it is determined to be unfounded. However, any volunteer making false and malicious accusations of child abuse may be subjected to discipline, up to and including termination of volunteer service.